Win $100+ Thanks to LineStar? We want to reward you and help celebrate! Did LineStar help you win big? We want to hear about it and help you celebrate! In exchange for sharing your $100+ single contest win, you'll receive a Limited Edition LineStar hat and other exclusive LineStar MVP benefits! We'll also share your win on social media and our LineStar MVP Map! 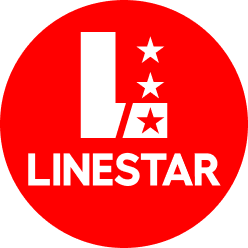 It's our lighthearted way to celebrate wins and thank you for supporting LineStar! How to Become a LineStar MVP? 2. Fill out the form below within 72 hours of your win! LineStar and Fantasy Sports Co. reserve the right to deny any request for any reason. Applicant's participation in LineStar MVP is voluntary, non-contingent, and may be revoked at any time, for any reason without previous notice. Offer is valid while supplies last. United States Only. You must be at least 18 years of age at the time of winning a contest. You must be a resident of the contiguous United States, US territories such as Puerto Rico are not allowed. You must be a registered LineStar/Fantasy Sports Co. customer, which was used to help build your winning lineup. The winning contest entry must have happened within 72 hours of submission. $10 offer applies to new MVP winners only. Offer limited to (1) MVP win per customer. By submitting your screenshot/social media link you grant Fantasy Sports Co. complete ownership of such material and can use said material for any purpose, including publicity.